Hip Baby Blog: Another staff holiday pick! 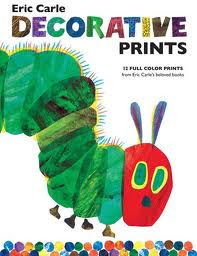 Katie's pick with only 15 days left: Eric Carle's Decorative Prints. Add some colour to any room with Eric Carle's book of 12 full-colour Decorative Prints. This set includes 12 colourful prints that are ready to frame and feature some of Eric Carle's most memorable artwork such everyone's favourite omnivore The Very Hungry Caterpillar. These prints are a great gift idea to decorate a child's room or for soon-to-be parents!